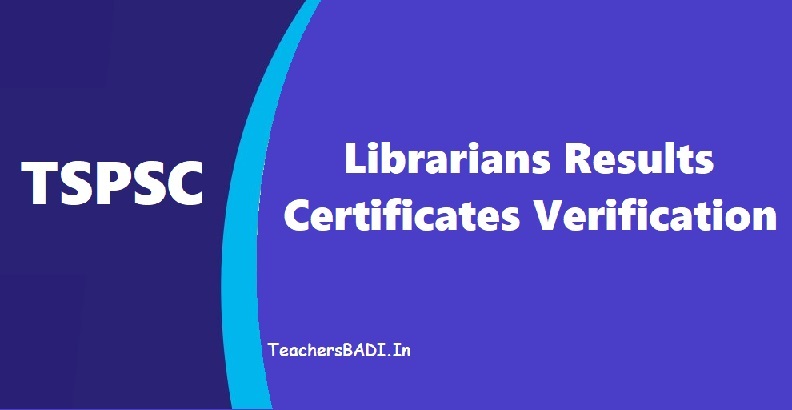 TSPSC RJC Librarians Results, Certificates verification dates, time slots and list of Docuements 2018: The candidates who have been picked up for certificate verification for the post of Librarian in Junior Colleges (28/2017) in various Residential Educational Institutions Societies are hereby directed to attend for Certificate Verification according to the time slot given below from 04/09/2018 to 05/09/2018 at Sanketika Vidya Bhavan, Masab Tank, Hyderabad. 1 Librarian (School) in Telangana Social Welfare Residential Educational Institutions Societies. 1. A Degree from an institution recognized by the UGC. AND 2. A Degree in Library Science from an institution recognized by the UGC. When will be MPHA MALE jobs recruited in primary health centers & community health centers.